Probate Bond | Woodlands and Huntsville Probate Attorney | Andrew J. Bolton, Esq. When Is a Probate Bond Needed? While many wills or other legal circumstances can eliminate the need for	a probate bond, there are several situations in which a bond is either	necessary or provides important protection you’ll want to consider. In some cases, the will itself requires the executor to secure a probate	bond before the will can be carried out. A court may require a probate bond before a large estate can be divided	among the named inheritors to ensure this process proceeds smoothly. 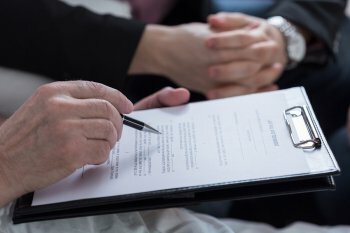 When an individual passes away and leaves unsecured debts, a probate bond	is often needed to ensure these debts will be paid out of the estate in	a proper and timely fashion. If all heirs named in the will do not agree that the probate bond process	can be waived, the executor must secure a bond. When the individual probating the will is not the named executor of the	will or there is no named executor, a bond may be required to protect	the beneficiaries during the probate process. When a probate bond does not seem to be advisable, obtaining one will only	add to the cost and duration of the probate process. Nevertheless, by	working closely with a probate lawyer, families can be assured that the	estate will be settled as expeditiously and smoothly as possible. Where	a probate bond is indeed obtained, it can provide a convenient avenue	by which heirs may file a claim for an executor’s alleged breach	of fiduciary duties. Obtaining a probate bond is not a do-it-yourself task. Because there are	many ways in which a bond application can be turned down or delayed, it’s	essential to ensure you understand the application requirements and process,	as well as any fees associated with the bond and the time expected between	application for and issuance of the bond. Furthermore, the delays associated	with issues obtaining a probate bond will also delay the division of the	estate, which can lead to legal issues among the beneficiaries who might	be concerned about their inheritance. The best way to ensure that the	probate process proceeds smoothly and reduce your risk for being refused	a probate bond is to work closely with your probate lawyer. The Law Offices of Andrew J. Bolton, Esq. has extensive experience with	all aspects of Texas probate law. Please	give us a call at (936) 435-1908 for the professional assistance you need obtaining a	probate bond.